A great opportunity to own in Hawthorne Village, a beautiful development on 40 acres with pool and tennis courts in the desirable Kennedy School District. 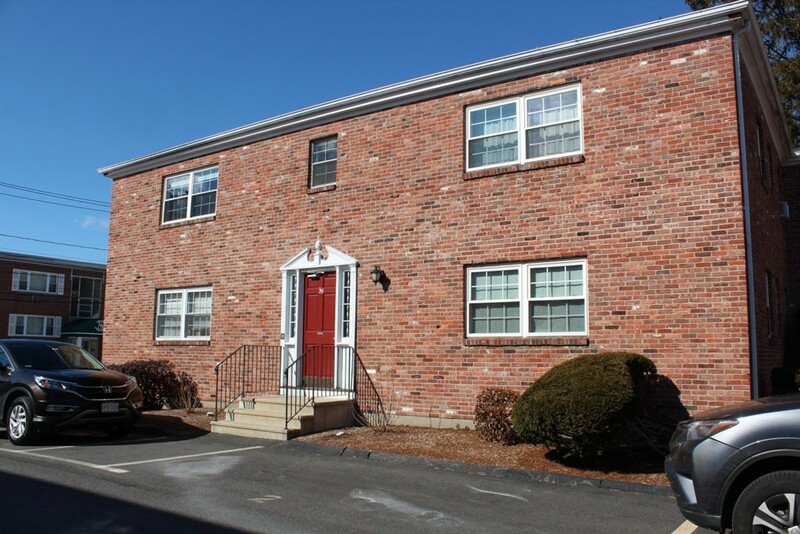 Located just minutes to shopping, commuter rail, and major highways. This end unit has an open floor plan, wood fireplace, & gleaming hardwoods throughout the entire town house. 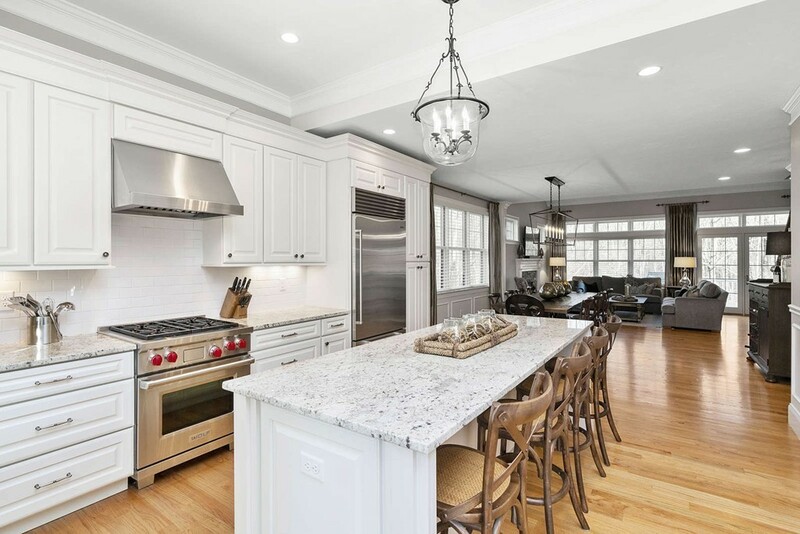 This Kitchen has oak cabinetry, warm and bright white granite counters, stainless appliances, and gleaming hard wood. There are new high end Pella windows and new slider as well as a new skylights. The over-sized and spacious master bedroom has a walk-in closet plus a large additional closet. Updated and energy efficient gas furnace plus central A/C. This unit was uniquely designed with a large master bedroom suite that encompasses then entire 2nd floor. The den serves as a complimentary 2nd bedroom on the 1st floor town which has its own large closet. All offers reviewed at 6pm on 3/10/19. 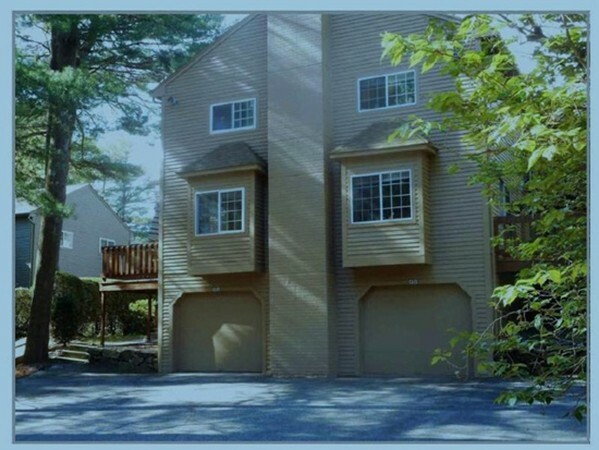 Fabulous fourth floor rear-facing corner unit with a great balcony and view of the woods. Upgraded kitchen cabinets with under cabinet lights, stainless steel refrigerator, and solid countertops. The unique dining area features ornamental chair rail, custom closets and built-ins, providing ample space for storing dishes, linens, and more. Second bedroom is of good size, can also be used as a den, and has a very large double closet. Huge king-sized master bedroom boasts lots of closet space and a fantastic full bathroom with fiberglass shower. Move right into this beautiful unit! WEBSTER LAKE WATERFRONT!! The Views are outstanding of Middle Pond & Marina. 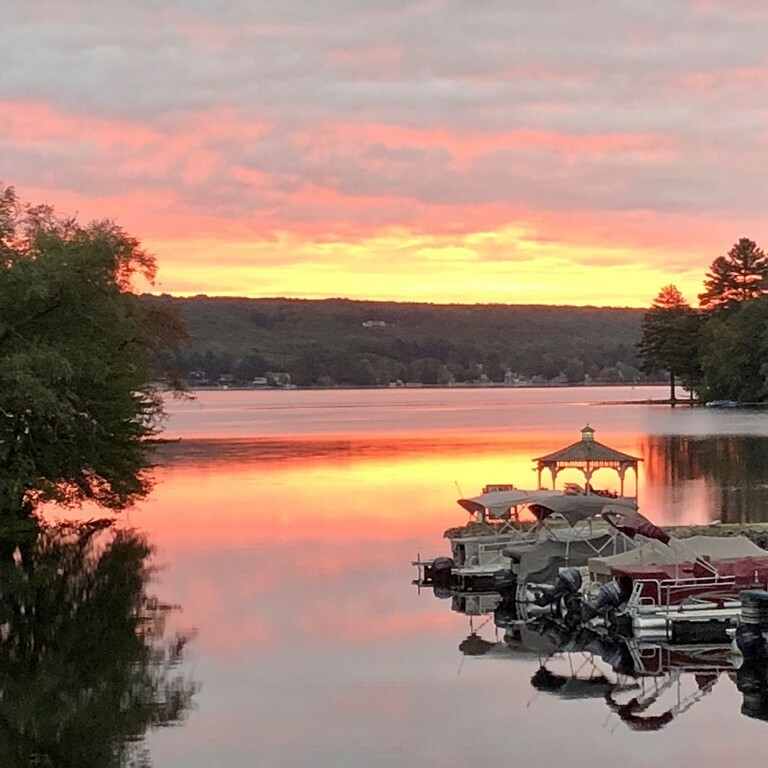 Enjoy beautiful sunrises from your private deck. Watch the boats pass by and perhaps sneek a glimpse of the Indian Princess as it paddles by! 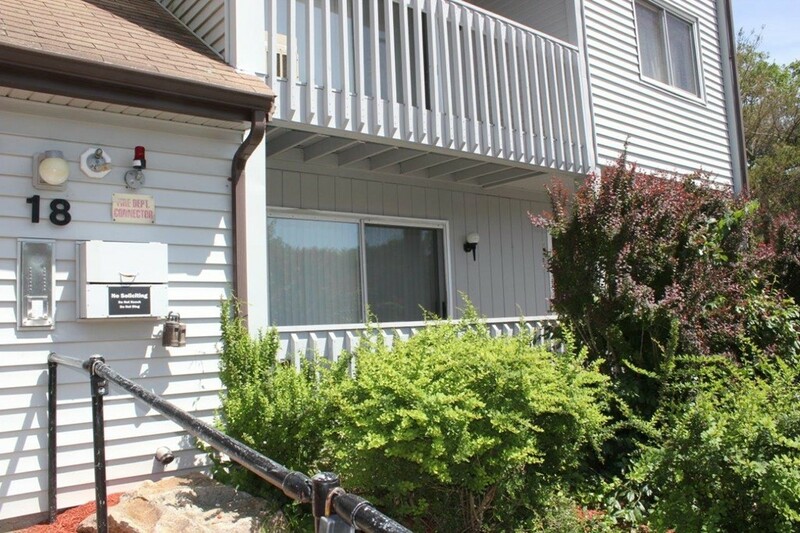 Two boat slips are conveniently located close in front of the unit. One slip includes a personal watercraft docking platform. Location is at exit 1 on Route 395. 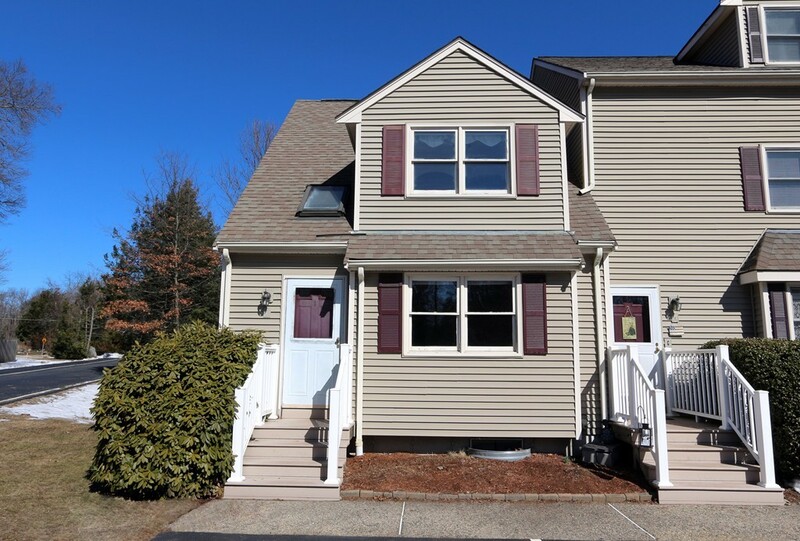 Close to shopping and convenient to commute to Worcester and surrounding communities. Perfect spot to spend the summer!! Original owner is ready to sell! Initially built as a model home, this 2 bedroom is loaded with upgrades! Gourmet cherry kitchen with granite counters, backsplash, gas stove, and breakfast bar. Plenty of natural light in this open floor plan with a vaulted ceiling and skylights. Gleaming hardwoods throughout the dining room and living room with fireplace, slider to exterior/deck. 1st floor master suite has walk in closet and elegant full bath with tiled shower and granite counters. Home office with french doors , half bath, and dedicated laundry room round out the floor amenities. Upstairs features a guest bedroom, full bath, loft, and bonus room with skylights. 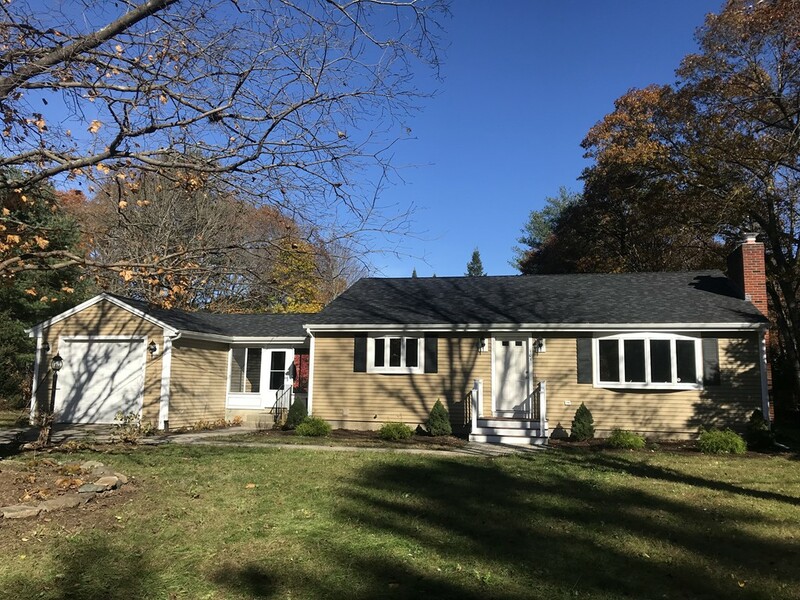 Finished lower level with full bath is a perfect retreat with a walkout slider leading to a yard with wooded views, abuts 200 acres of conservation land. Energy efficient and maintenance free exterior. Community features include a garden and clubhouse, nearby walking/job trails. Minutes drive to major routes and highways. Over 3100 square feet of one level luxury living in this 2nd floor elevator equipped penthouse. There are only four units like this thru out the complex. This luxury home features many upgrades included in the price(see remarks).The open floor plan invites you in the minute you open the front door with a wide tiled entry foyer leading to the open living room with gas fireplace which adjoins a spacious dining room. The stunning kitchen boasts custom cabinetry, granite counters, Jen Air appliances, an oversize island with a breakfast bar and a large pantry. The large wide hallway leads you to the sunny solarium on the left with skylights and double sliding doors which leads to a private deck with wooded views. On the right is the media room with a large wall hung flat panel TV with surround sound and the entertainment closet. Further down the hall is the guest BR with full bath & walk in closet, laundry room and master BR with French doors, huge custom closet and luxurious master bath. Prefer one level living? Love Franklin? Can you even imagine being within walking distance for coffee, shopping, pubs, restaurants, downtown or how about the commuter rail stop? Dean College? Not only is the location fantastic but this condo is pretty darn fantastic too! With easy access, there is nothing to do but let your imagination run wild picturing how you would arrange your furniture in this very desirable open floor space! 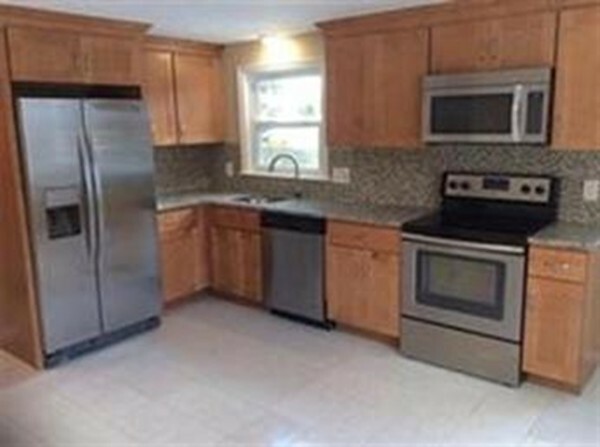 Expansive kitchen w/breakfast bar, plenty of cabinetry & counter space PLUS shiny new stainless steel appliances! BOTH bedrooms are spacious AND have great closet space. Bathroom has tiled shower stall w/glass door! In unit laundry (right outside the bedroom!) also has storage space.Large closet in entry hall and another in bedroom hall! BONUS: Side entrance/exit from guest room has a lovely little patio space perfect for bistro table/chairs & relaxing in the afternoon. Enjoy condo living without living in a sea of condos! Great opportunity for YOU! 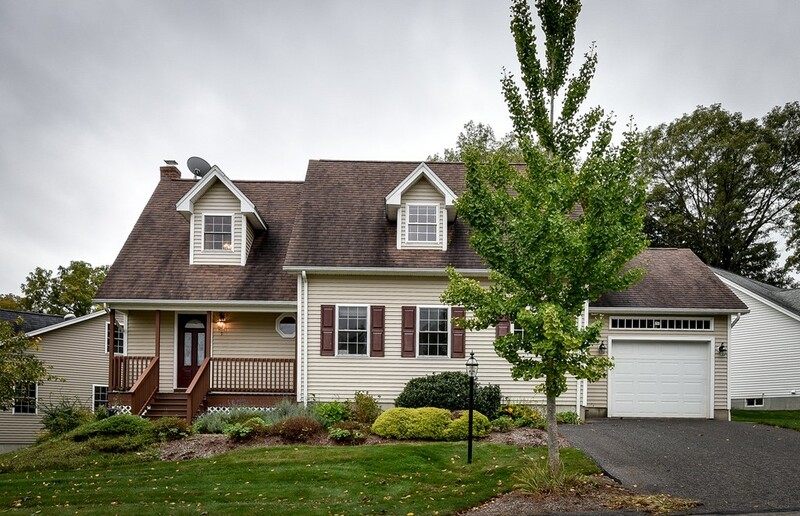 OPEN HOUSE Canceled Sunday 1/13 Looking for the best of both worlds? This captivating condo blends a wonderful combination of old world charm and modern amenities and is anything but cookie cutter. This spacious and bright home boasts a wonderful floor plan and offers 2 generous sized bedrooms, an eat-in-kitchen, dining room with period details including pocket doors and built-ins, plus a large living room, perfect for entertaining. Other highlights include GLEAMING HARDWOOD FLOORS and in-unit laundry. 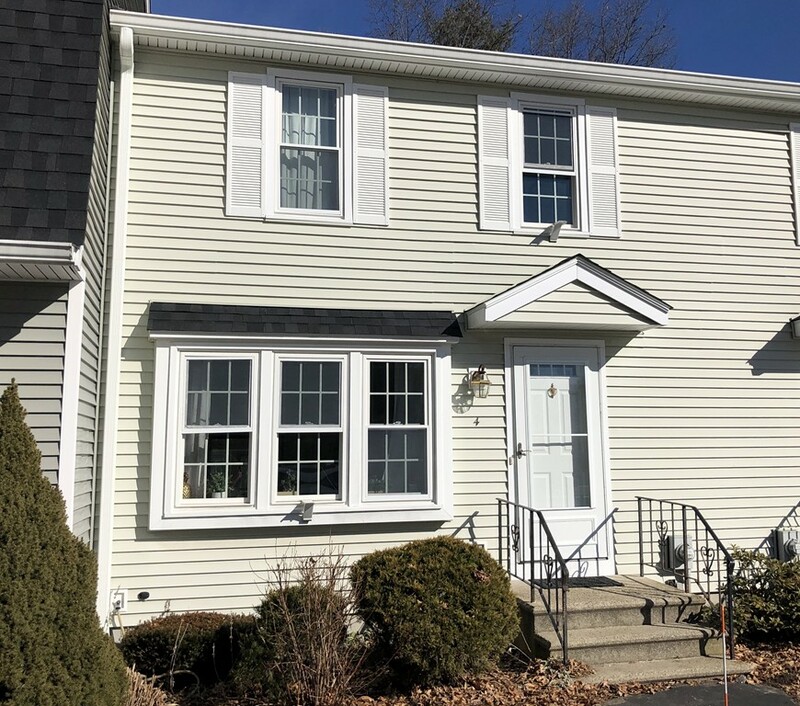 Located only a stone's throw from the ocean, this home is ideally situated minutes from the COMMUTER RAIL, Forest River Park, and all that downtown Salem has to offer. This pet friendly home has it all including: OFF STREET PARKING, low condo fees ($250), plenty of storage, GAS HEATING, plus a private deck. Nothing to do, but unpack and enjoy. You've thought about downsizing ,imagine yourself not shoveling anymore, nor mowing. 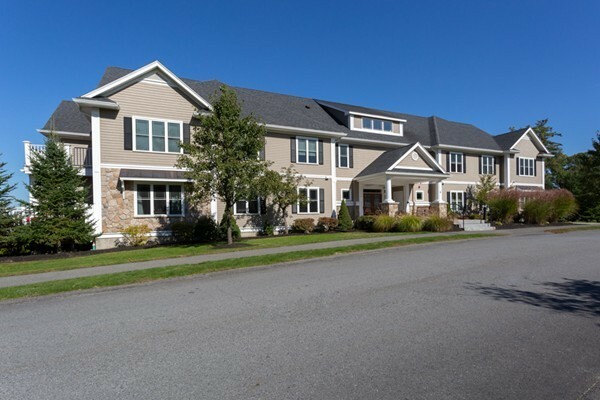 It's time to see the maintenance-free lifestyle we live at Brierly Pond, a 55+Community. This captivating home in an idyllic setting, has a sun filled open floorplan to suit all that furniture from your home, with plenty of room for entertaining, both inside and out the deck.The large eat-in kitchen is perfect for your cooking enjoyment with plenty of custom cabinets, and it adjoins a wainscoted dining room with French doors.The laundry is conveniently located on the 1st floor with the half bath. The 2nd floor has a Master Suite, and a separate guest suite on the other side of the hallway. 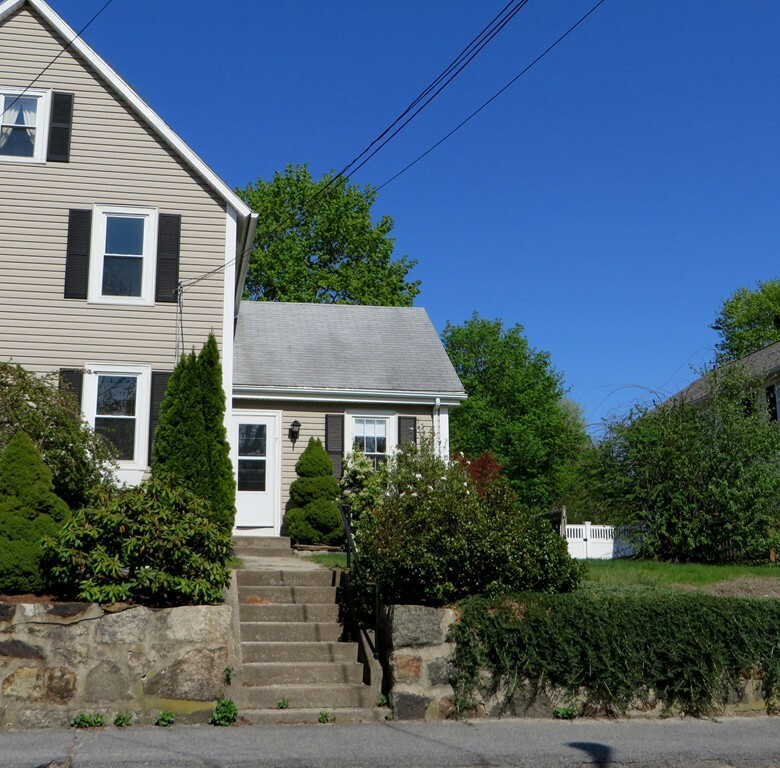 Millbury is one the best locations in Central Mass: 55 minutes to Boston, 35 minutes to Providence, 7 minutes to Worcester's famous Shrewsbury Street's restaurants. You get high end amenities, low cost living, low condo fees, taxes, This relaxed, like-minded community is the draw here. AHS Home Warranty included! 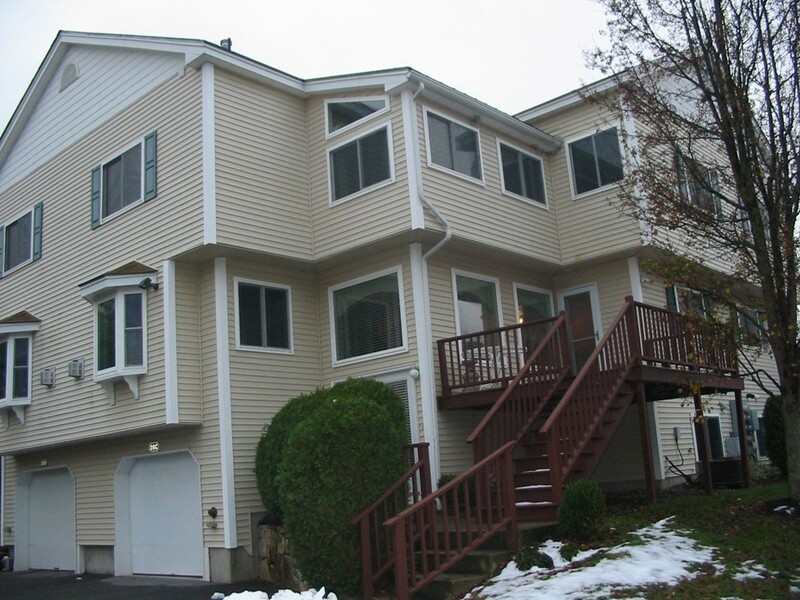 Great location for this bright 2 bedroom, 1 1/2 bath townhouse. Large eat-in kitchen has a slider leading out to deck. 2 large bedrooms on second floor with full bathroom. Basement has 2 large finished rooms with plenty of storage, washer/dryer area and walk-out to patio area in back yard. Plenty of room out back to sit and relax or let the kids play. Attic has plywood for additional storage. Owner will paint any rooms that require touch-ups. Kitchen, living room & second floor landing have recently replaced laminate flooring. Half bath has new flooring & vanity. One owner home, occupied since only 2016 -- like new!! 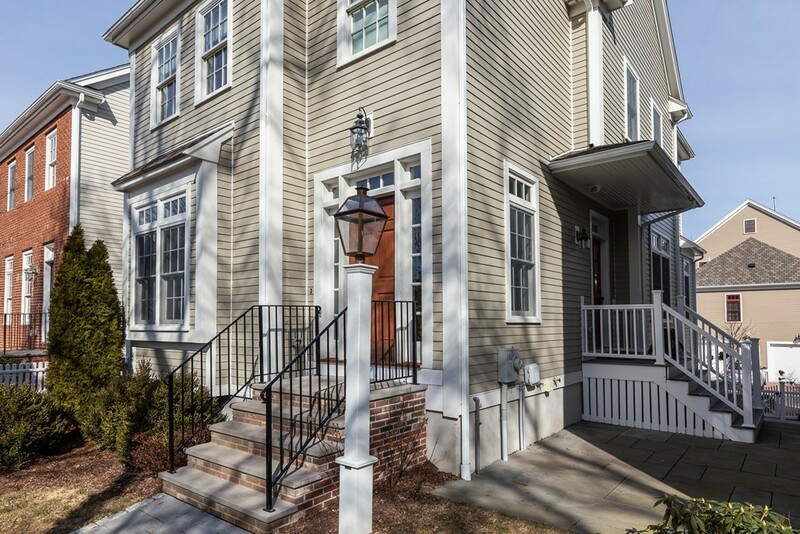 Simplify your life -- leave behind the yard work and enjoy a Beacon Hill feel in Medfield. Convenient location near downtown shops and more. Enjoy an open floor plan featuring a gourmet kitchen w/marble backsplash, Thermador 5 burner range, microwave drawer, and oversized island. Kitchen/dining area opens to family room featuring custom built ins and cozy fireplace. Hardwood flooring throughout main and second floor.Master bedroom w/stunning master bathroom featuring marble double vanity and tiled rain shower. Convenient second floor laundry along with two other good sized bedrooms. Lower level is partially finished as well and offers ample storage. In addition, enjoy a private, fenced outdoor courtyard lit by gas lantern. Not an age restricted neighborhood. Truly a must see with showings starting immediately. Fabulous 55+ living at Leah Estates! Just move in and enjoy the easy living of a townhome in impeccable condition. 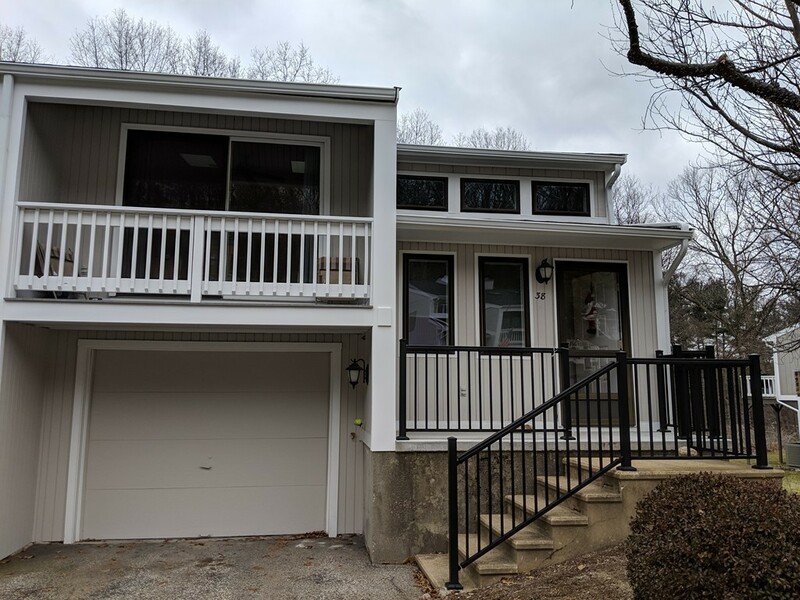 Brand new - NEW - granite kitchen countertop, kitchen faucet, appliances - dishwasher highly rated with stainless interior, stove, frig, micro, 100% nylon carpet, hardwoods with white oak & satin finish, refinished stair hardwoods & whole interior painted with Regal Select. 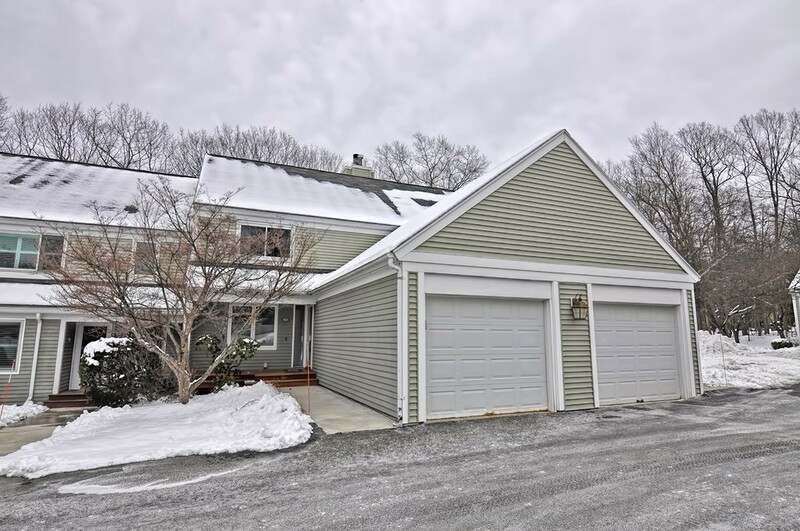 Immaculate open floor plan - 2 bedroom, 2.5 bathroom condo with large unfinished, newly insulated basement. Beautiful cathedral family room open to dining area & kitchen with direct access to the one-car garage. Laundry on first floor. Second floor boasts large sitting area overlooking family room along with 2nd bedroom & full bath. Deck and front stairs repainted. Close to Ashland State Park where you can enjoy walking, swimming & the tranquil area. Community clubhouse, Senior Center & Ashland T-station just down the street. Welcome to 1 Heritage Drive! This end unit offers privacy, space, and convenience. The oversized eat-in kitchen has both an area for a dining table as well as a large granite center island - great for entertaining or just prepping food. Set off the back of the dining area is a screened in porch overlooking the backyard, ideal for relaxing on those warm summer nights. Enjoy ample amounts of natural light throughout the home. Hardwood flooring in both bedrooms. The fully finished walkout basement is a great space for a play/game room, relaxing, an at home gym, and more. A small patio off the basement slider is the perfect place to grill! SPACE, STYLE and LOCATION all in this SPECTACULAR PENTHOUSE unit at desirable Grover Estates. This beautiful condo boasts a MODERN KITCHEN with GRANITE countertops and STAINLESS STEEL appliances. The kitchen opens to a large, sunny dining area. The huge fireplaced living room is perfect for entertaining guests or relaxing with the family. The SPRAWLING MASTER SUITE exudes charm and character with its cozy niches. The Master suite offers ABUNDANT CLOSET SPACE including a walk-in! The SPA-LIKE MASTER BATH has double vanity, jetted tub and separate stand-up shower. There is a second generously sized bedroom and a second full bath! The unit has a detached garage and a basement storage unit. 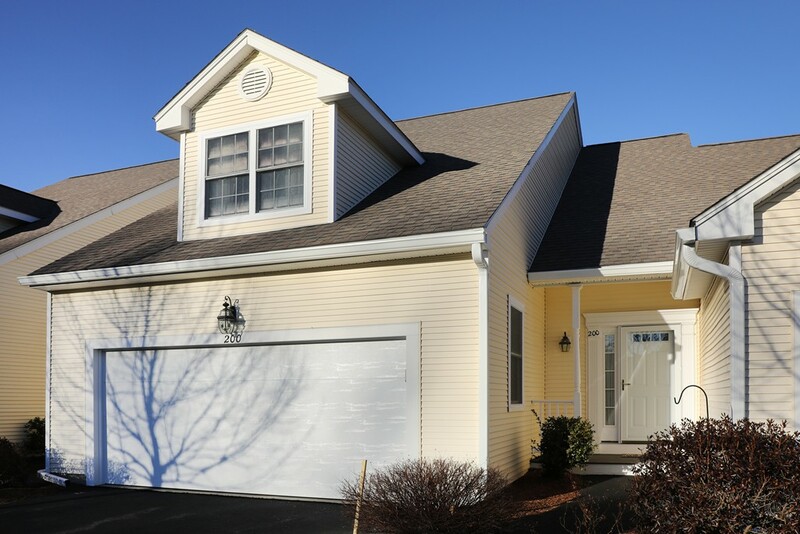 Grover Estates can't be beat for convenience - just steps to the commuter rail, library, town hall and the shops and restaurants of Canton Center. Gorgeous, convenient and affordable too -- CONDO FEE INCLUDES HEAT AND HOT WATER! Don't wait to make this great home yours! 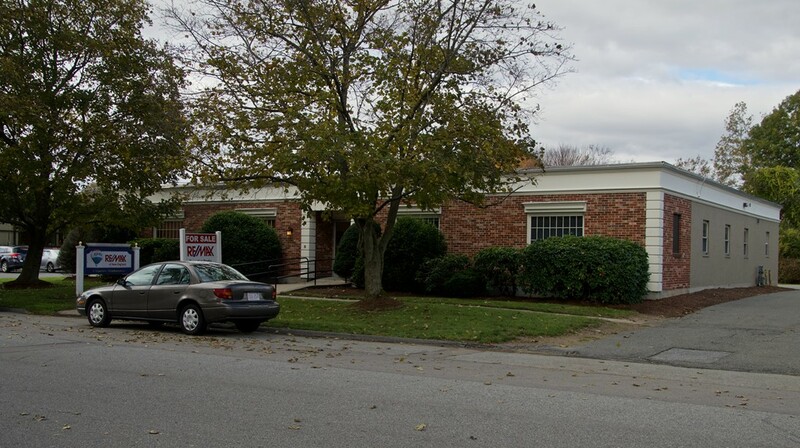 Listing Office: William Raveis R.E. & Home Services, Listing Agent: Trina Macchi & Co. Welcome home to this Pet friendly and affordable unit at Maple Brook Condominiums. Sun filled unit offers a timeless layout. You will find a bright, airy breakfast nook with skylights, formal dining and living areas with beautiful wood floors that open to a private deck overlooking woodlands. 2 spacious bedrooms that offer generous closet space. You will love the master with it's dedicated dressing/makeup area. Laundry located on the second floor.. This unit includes a finished basement. 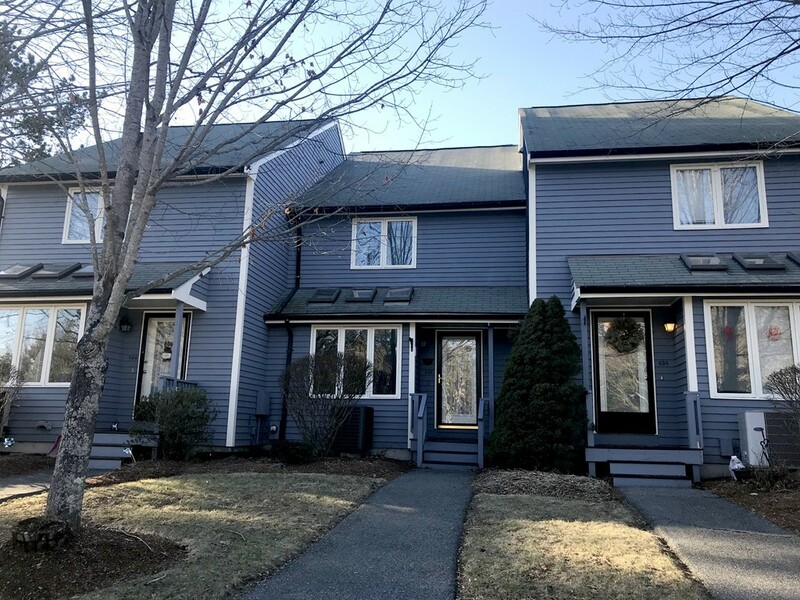 Maple Brook Condominiums are aesthetically pleasing and are situated in a great location just minutes to Boston commuter rail and access routes 495, 95 and Mass Pike; library and restaurants. 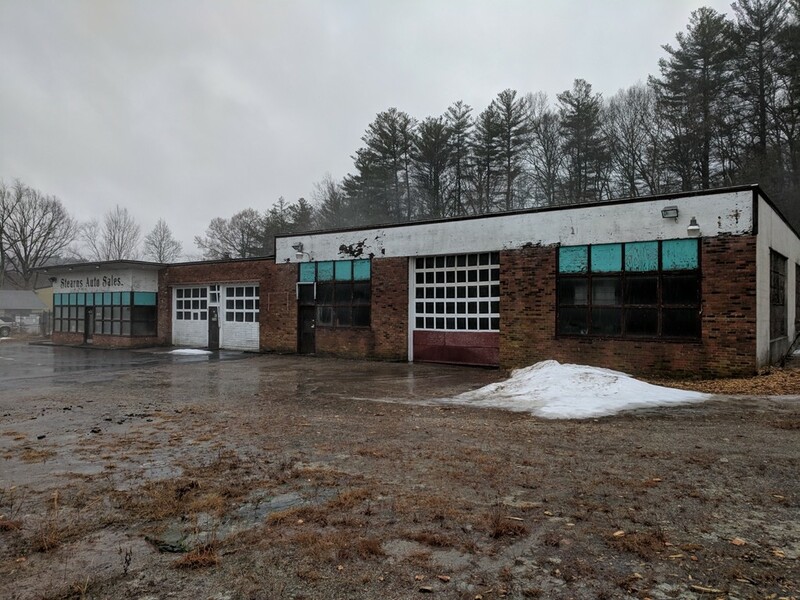 Former Stearns RV Repair, Large fenced in land site, 3 drive in doors plus small waiting and reception area, Excellent redevelopment opportunity, Mostly cleared and flat 2.581 acre parcel. 256' of frontage on Route 140. 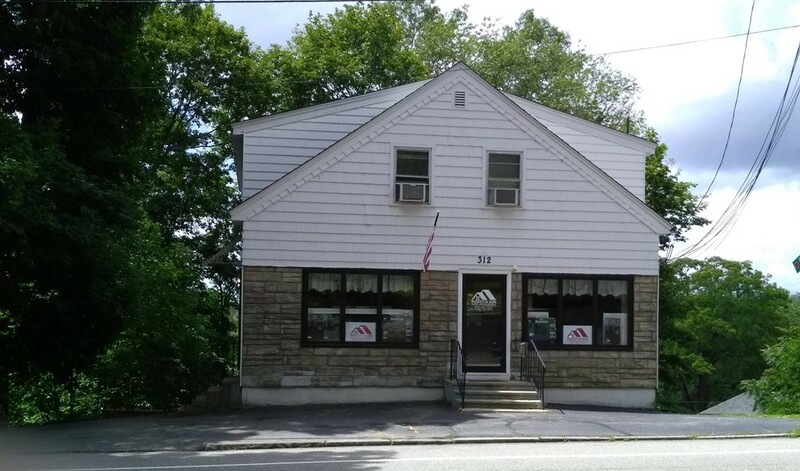 Prime Worcester Property (first floor commercial/office space), 5 minutes to Mass Turnpike, lessee responsible for due diligence and confirmation of zoning (commercial building use grandfathered). Unit will be available on approximately October 1, 2018. 1 year self-extending lease. Security deposit required. With a litte TLC this property could be a real winner. Located in prime commercial area. Land parcel ideal for business development. Featuring 6 units. Two 2 bedroom units, Three 1 bedroom units and One studio style unit. Studio rents for $675 per month. Not many 6 units properties in the core of the Town's center. Near Town Hall. Outstanding opportunity for owner occupied to create mortgage helper with long term investment. Landlord supplies heating, electric and water. Single heating system. "SOLD AS IS" BUYER'S AGENT SHOULD COMPLETE ALL DUE DILEGENCE ON THE PROPERTY. BUYER'S AGENT should verify all assessors records, zoning data and inspect structure a 100%. 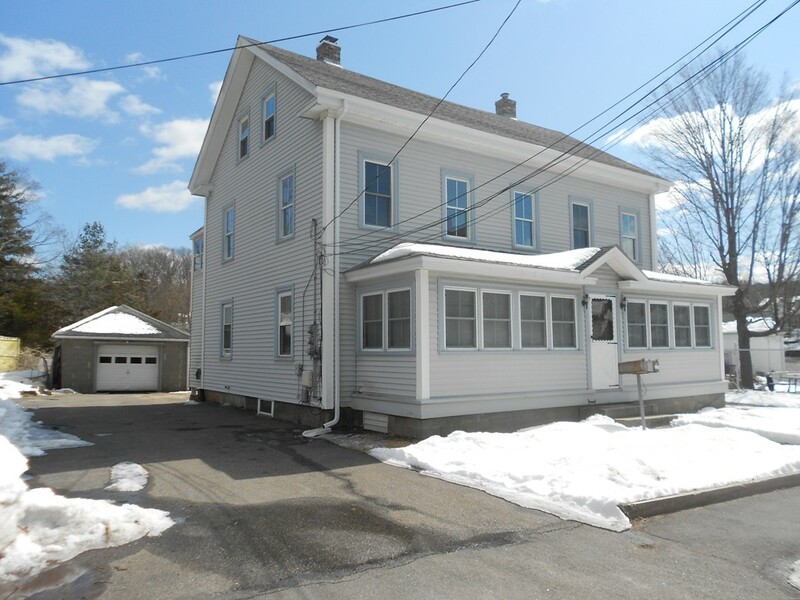 Perfect investment opportunity in Holliston. Large 4 family located next to the golf course and within walking distance to the High School. This property features 3 two bedroom units, and 1 one bedroom unit. There is plenty of off street parking, all of the utilities are separated, lead compliance cert in hand. 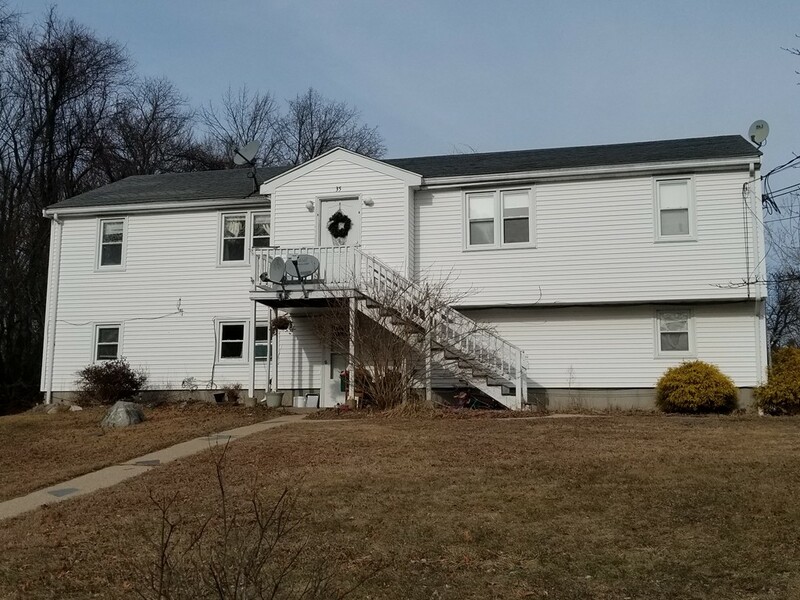 This property is in great condition making this a turn key investment. All 4 Units are currently well below market, all 4 tenants are on TAW agreements. 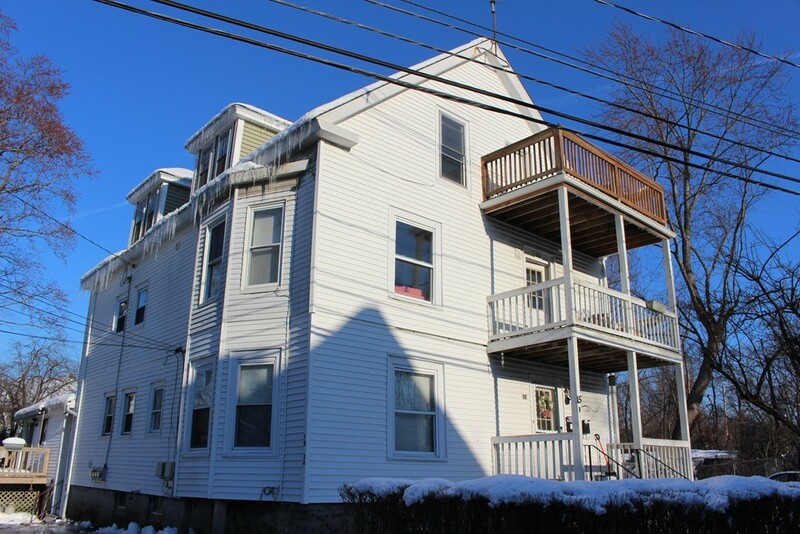 A GREAT OPPORTUNITY TO OWN A 6 UNIT MULTI FAMILY IN THE HEART OF FITCHBURG, MA WITH OVER 10% CAP RATE! This 6 Unit Complex is not going to be on the market long! Schedule a showing before it is too late! 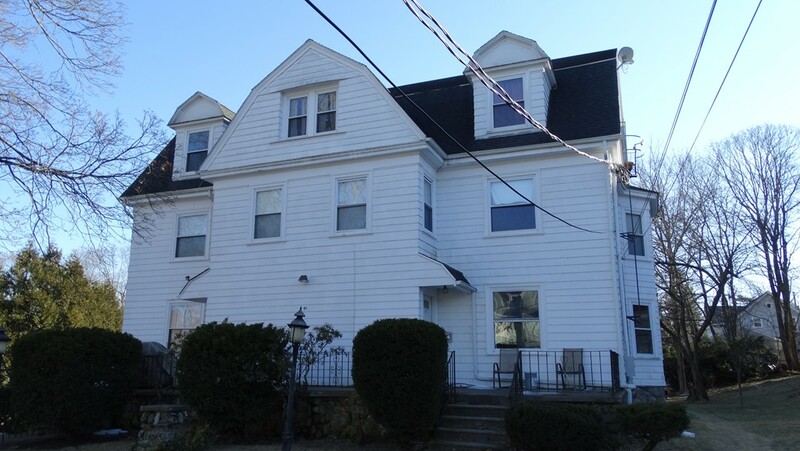 Built in the early 1900s, this multi family consists of approximately 6,645 Sq Ft of Living Area across the 6 units! 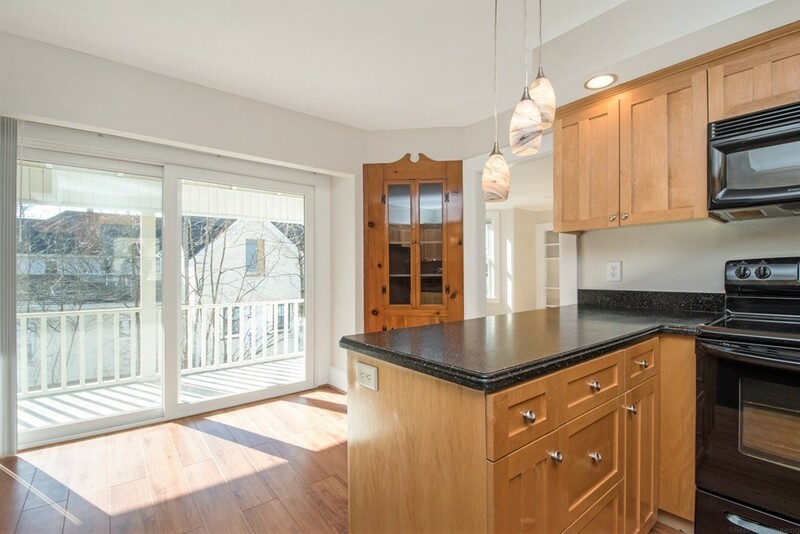 The Laminate and Hardwood Flooring coincide incredibly with the counter tops and cabinetry. 3 Sets of Laundry Units on the First Floor, which can create additional income! Don't sit on this opportunity! Call the Listing Agent to Schedule a Showing! Gorgeous Setting for this Four Family home/Investment Property! Nothing Else Like it on the Market, in The Heart of The Cul De Sac and at The End of a Family Neighborhood with a Beautiful Yard. 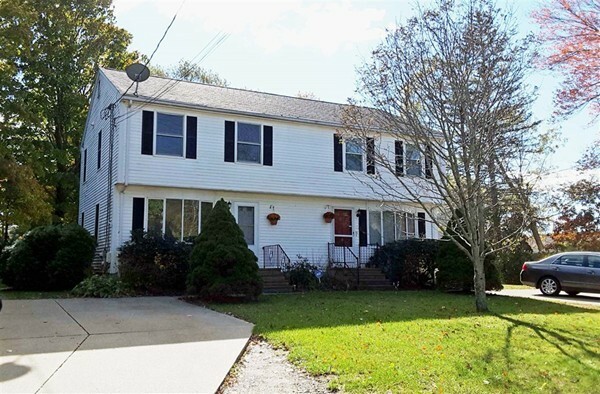 This is perfect for an owner occupant who would like to defray the cost of the mortgage and have an income producing property in Holliston! Lovingly Built and cared for by this original owner with long term tenant at will tenants in place! Kitchens, bathes and windows upgraded in 2008-2009. Easy Maintenance with Vinyl siding and Gas Heat. Title 5 in hand. Property is under market rents and can be higher! Annual expense/income breakdown online. Meticulous units that an owner would be proud to live in and enjoy this spectacular location! Its Stunning! Thats what you will say when you see this Remodeled, Better than New Custom Contemporary Ranch. Set on a Gorgeous Acre Lot on a Designated Scenic Franklin Road. Huge Open Floor Plan. Cathedral Family Room w/Fireplace. Custom White Cabinetry w/Granite Counters, Upgraded Stainless Appliances, Farm Sink, Large Island w/ Microwave cabinet, Pullout drawers & Designer Tile. Gleaming Hardwood Floors thru out entire home. Three Large Bedrooms w/generous closets. Master Bedroom has slider out to Rear Patio. You will love the Awesome 3 Season Sunroom and Huge basement for Game/Playroom that walks out to back yard. High efficient heating and A/C. One car garage! Set back from the road with a driveway turn around.Big Front and Back yard with Gardens and Tons of Privacy. 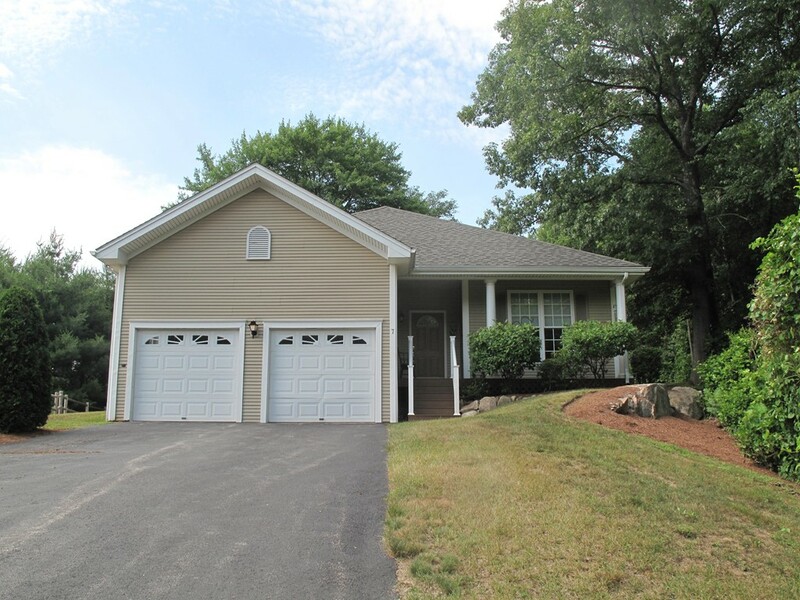 Convenient location with minutes to Train, Highways, Shopping, Downtown Franklin, Golf, Adirondack club and More! Tenant responsible for snow removal, all utilities-including water & Trash. Landlord: lawn & septic. 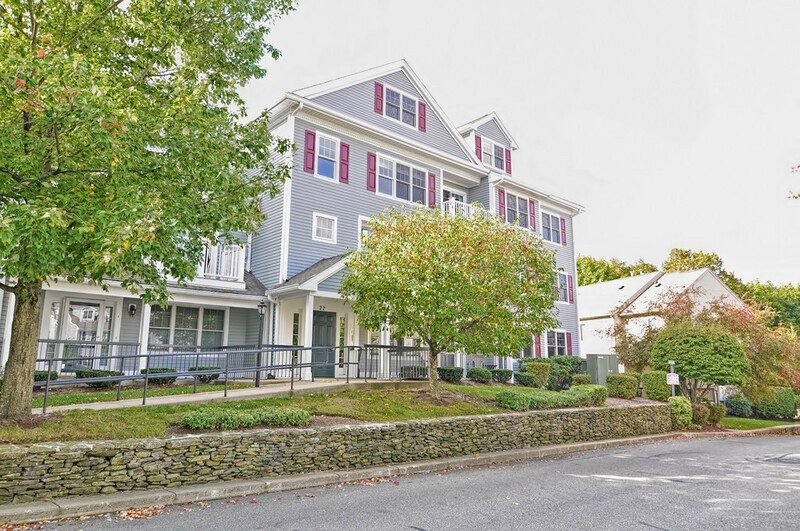 Bright, clean first floor condo for lease in Franklin Crossing. Large open concept living and dining room area, galley kitchen, full bath and two generous sized bedrooms with large closets for storage. Easy on/off access to Rte 495 exit 17. Close to shopping,restaurants, health clubs and many other area attractions. Non-smoking property, small pets are negotiable based on credit and income verification. Call for daily showings. RENOVATED AND READY TO GO! Completely remodeled 1st floor 2BR unit has a NEW kitchen and bath, NEW laminate flooring and carpet, and fresh paint. Additional space to store items available in basement. RENT INCLUDES heat, hot water, sewer, trash and snow removal, and grounds maintenance. Tenant pays electric. New coin op laundry machines on site. Ample off street parking. 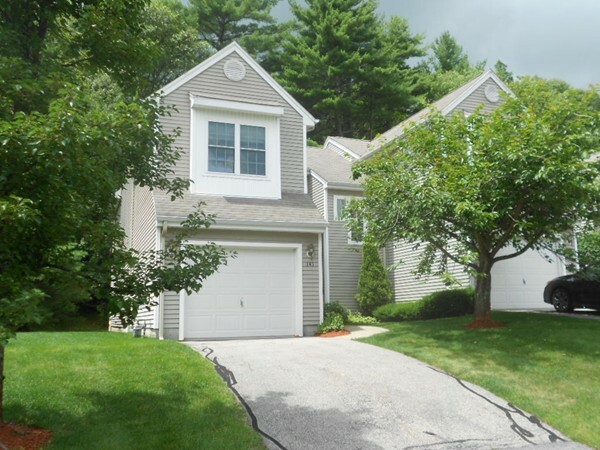 Minutes drive from downtown Grafton, convenient to commuters going to Worcester and Westborough. Abuts Grafton-Upton rail, not a commuter train. PET FRIENDLY! Available immediately. Fridge and stove will be installed prior to occupancy, unit will also be completely cleaned. Ready for occupancy November 6, 2018. 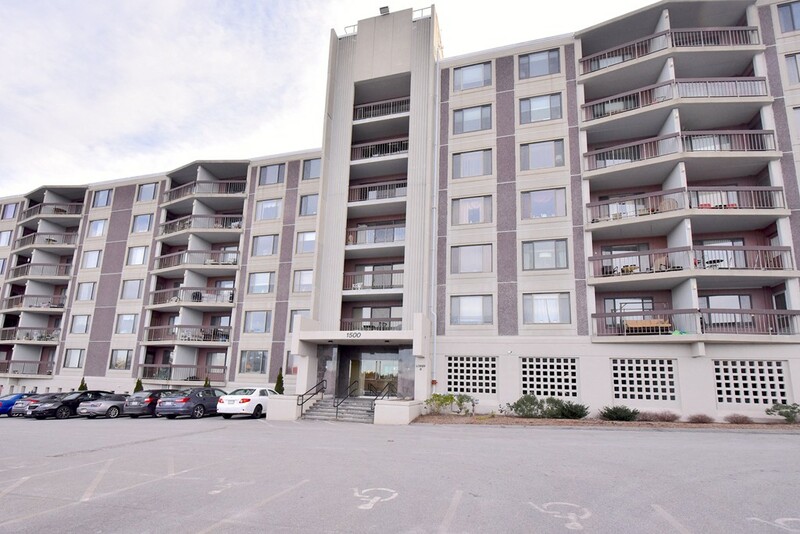 Generous size 2 bedroom unit on the first floor of a duplex style building. No worrying about extra costs this includes heat, hot water, snow removal, lawn care and parking. Only 4 units in this well maintained building , 2 on each side. Freshly painted neutral colors, updated kitchen and bath. Eat in kitchen, open to living area. Laundry coin- op in lower level. Additional storage included, approx. 8x10 space in basement. Off street parking for 2 cars. Great, convenient location for commuting, shoppping, and dining approx. 1 mile form Rt.1. Property professionally managed with 24/7 service available. Requires good credit, first, last and one month security deposit for move in. No pets and non smokers please. A move in dream! Available now. Gleaming hardwood floors throughout most of this spacious 1 bedroom, 1 bath apartment. Sun-drenched living room from the fantastic walk out bay window. Eat in kitchen with plenty of cabinets and counter space. 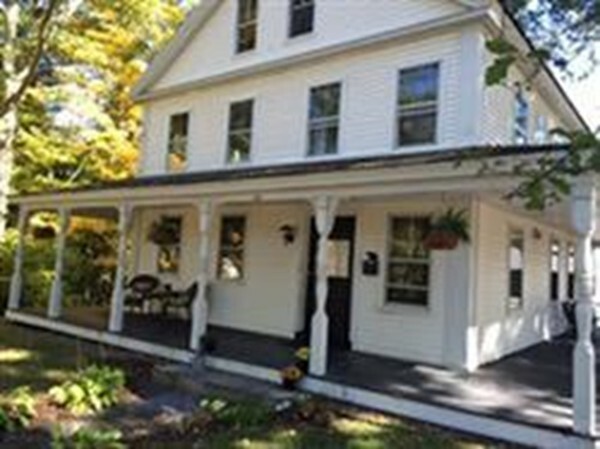 This is a rental worth raving about, you will want to call this home. Coin-op laundry in the basement. Walk to the center of town and enjoy plenty of restaurants and parks. No pets, no smoking, no exceptions. Professionally managed 24/7 service provided. Great commuter location within minutes to major highways, shopping, dining etc. Call for your appointment today. Newly remodeled kitchen with new cabinets, counters, paint. 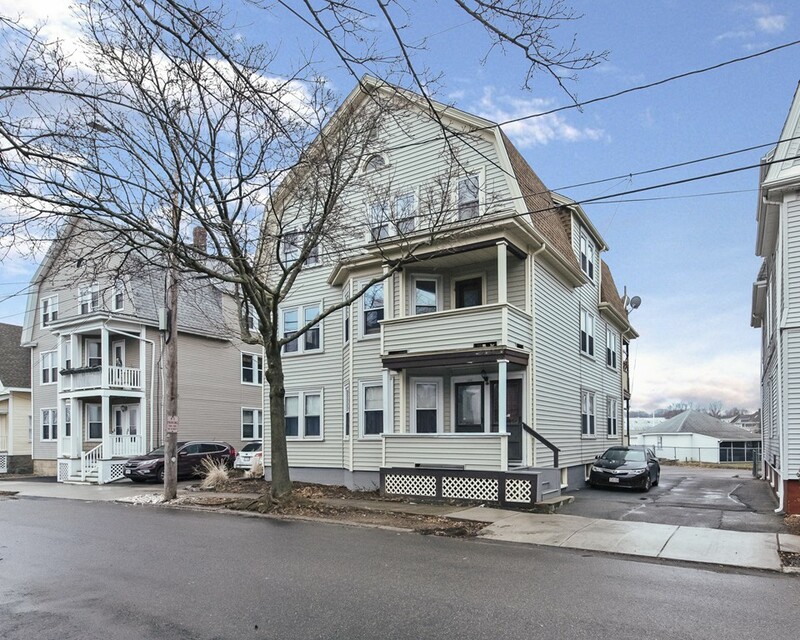 First floor unit, well kept home in a fabulous location , walk to town, T- station & Dean College. Hardwood floors in living/ dining rooms. Walk-in pantry with ample storage directly off kitchen. Sorry but strictly no pets allowed, no exceptions. Economical gas heat. Generous size bedrooms, master w/ walk in closet. Off street parking in the back of property. Storage and a washer and dryer are provided in basement. Water, sewer, trash and parking included. Requires 1st, last, and 1 mo. security deposit for move in. Available for immediate occupancy. Good credit, and references a must. FRESHLY PAINTED, MINT, MOVE IN READY!! 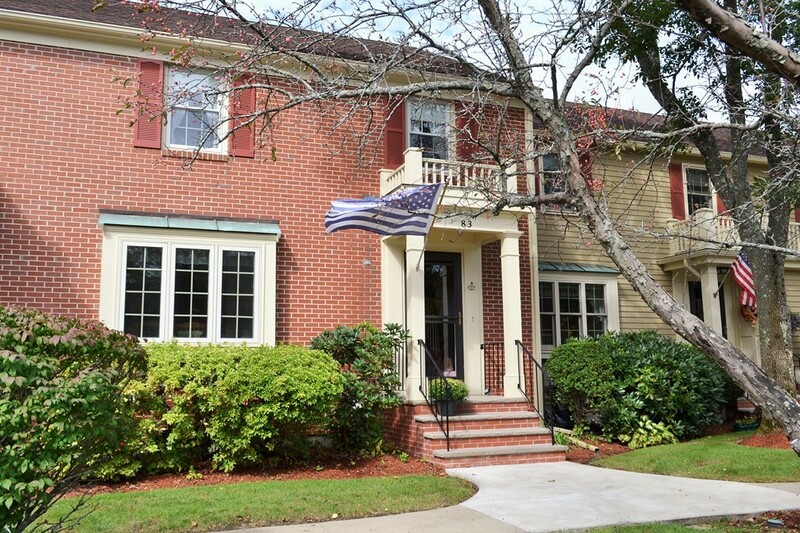 Beautiful Dover style end unit now available for 1 year lease at desirable Forest Hills. Beautiful, open floor plan with 3 sided fireplace in the Living Room. Gorgeous hardwoods, and fresh neutral paint throughout. Large Corian Kitchen with maple cabinets, pantry closet, breakfast bar and ceramic tile floor. Second floor offers large loft area that overlooks Living Room and Foyer. Master Bedroom with cathedral ceiling, his and her closets, plus full bath. Guest Bedroom with two closets. 2nd floor laundry. Ample storage in the basement. Wonderful Cul-de-sac location. Just minutes to Mass Pike, and T-train. Immediate occupancy. Bright light and just right! 3 bedroom, 1 and 1/2 bath with plenty of living space. 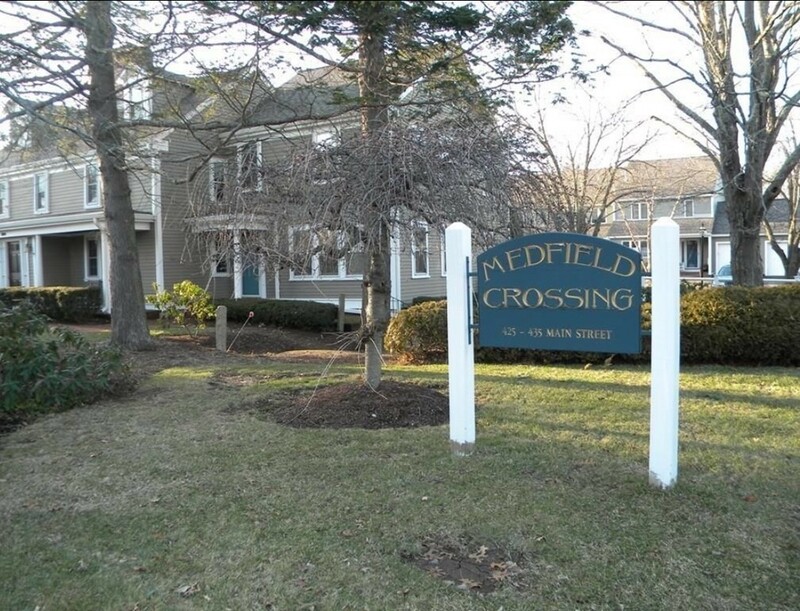 Situated in the center of town at Medfield Crossing. Unit is part of the historical building. Walk to plenty of delicious restaurants, grab a coffee or a fresh juice. The town has so much to offer. 1st floor has a beautiful eat in kitchen with granite counters and plenty of cabinetry. There is even room for a mud room area that brings you right to your own private outdoor patio. 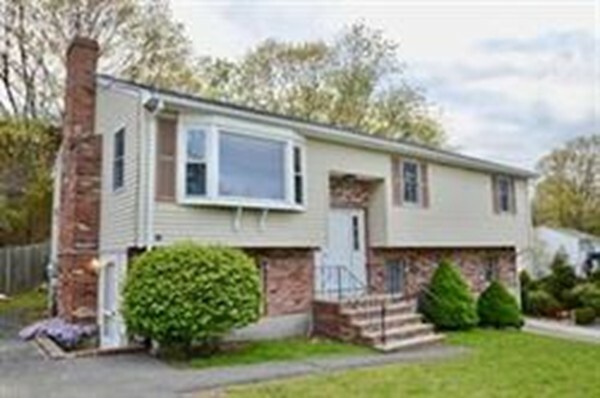 You will find gleaming hardwood floors, a sun drenched living room and a 1/2 bath which will complete the first floor. 2nd floor has 2 bedrooms with closet space and wall to wall carpet. Full bathroom is on the second floor. 3rd level of living has a loft feeling for your 3rd bedroom with a large closet. Storage and laundry are in the basement. Off street parking. Convenient to major highways. Commuter rail is minutes away. No pets, no smoking. 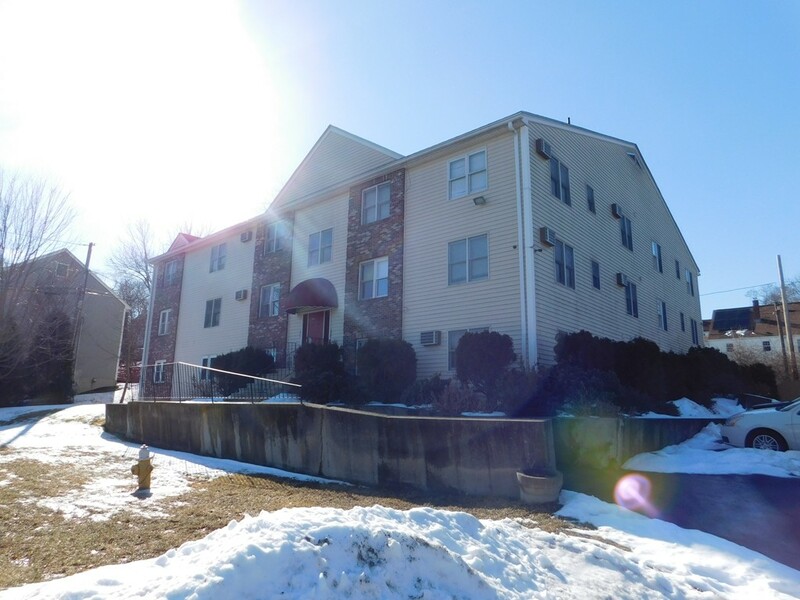 Great opportunity to rent this END UNIT in Bruce Hollow!!! 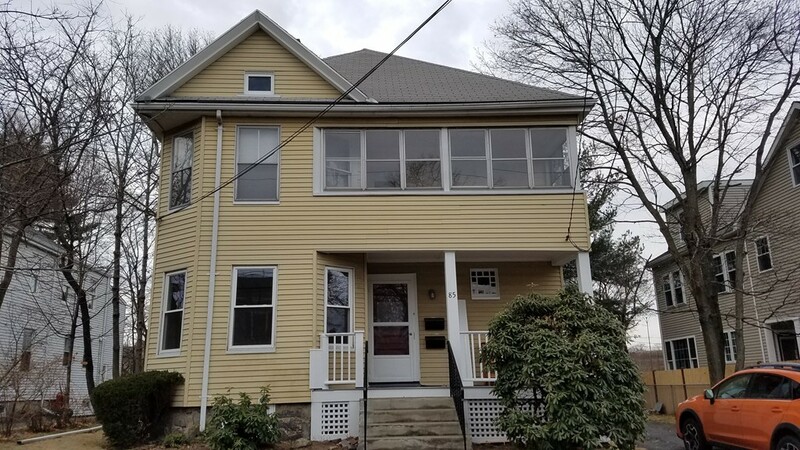 The first floor offers a large living room with cathedral ceilings, skylights and fireplace.There is a large dining area and convenient updated kitchen! The main bathroom is Hollywood style and is accessed by the hallway and master bedroom, there is a large second bedroom on the first floor . The lower levels offers a full bathroom, laundry, 3rd walk-out bedroom and office/den. A deep one car garage (equipped w/240V electric car charge outlet)allows for storage and parking convenience. 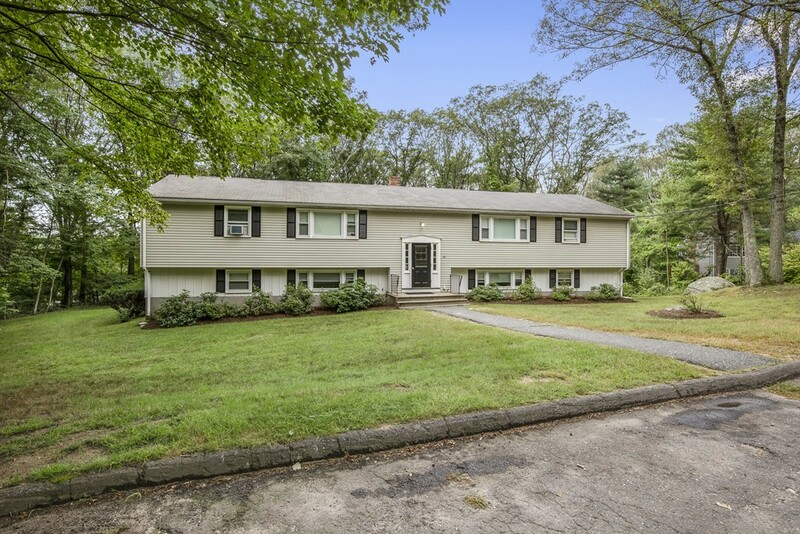 Easy access to ma pike and commuter rail. This third floor apartment is bright, clean and ready! This is an owner-occupied 4 family on a dead end street near the Ashland line. Close proximity to downtown, train, shopping, highway access. 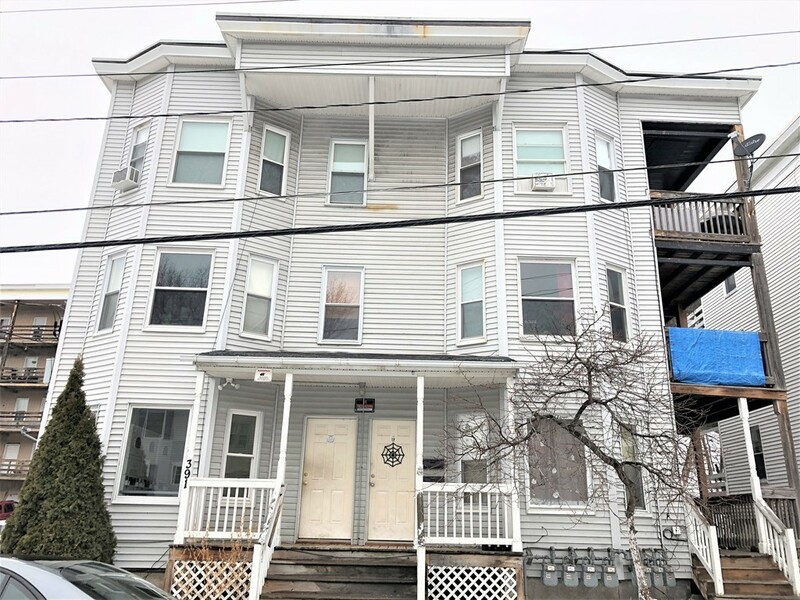 Recent paint, updated bath, wood floors in most rooms, economical gas heat, private deck, parking for two cars and possibly a garage space for an additional monthly fee. There is so much to like here. Owner does require a credit check for all tenants 18+ years old, first month's rent, last month's rent and a security deposit equal to a month's rent. Perfect size for 1-2 adults and one child. Don't hesitate on this one, come see for yourself all it has to offer on Saturday March 9th from 1-2:30 PM. Incredible location in Granada Highlands! Fantastic Cul de sac location with Gorgeous views! Brick Front Split Entry Style Home has the lower level Apt Avail for immediate rental! Renovated Unit Features Split Cental AC/Heat System for Super Efficiency! Custom Flooring with Ceramic Plank Flooring Throughout! Beautiful Fireplace Family Room for Cozy Nights! 2 Large Bedrooms Loaded with Natural Light! Laundry Located in Unit with Washer/Dryer Provided! Off Street Parking in Paved Driveway and Great Backyard Space For Summer BBQ! Refridgerator, Washer and Dryer Included! 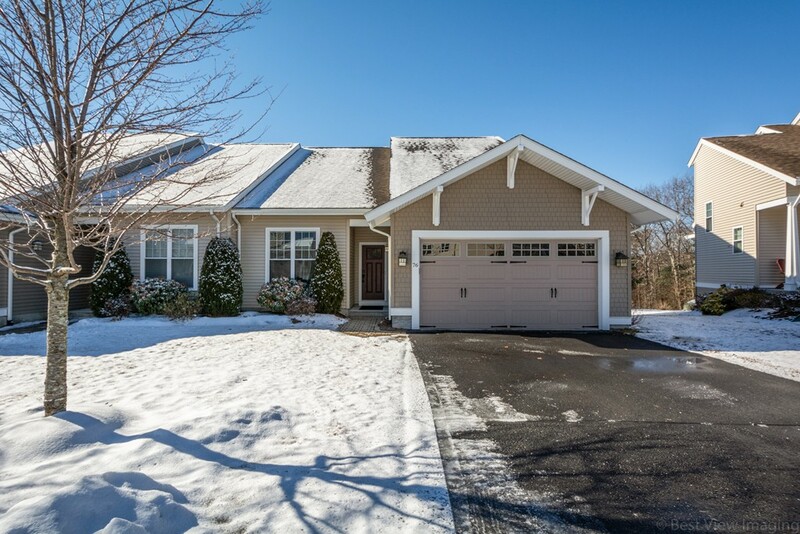 Open House Saturday 2/7 from 11-12 pm! Exceptional Newly remodeled unit, Half of a duplex home with all the benefits of a single family. All NEW kitchen with granite countertops & new cabinets, NEW stainless appliances, NEW wood laminate flooring. New ceramic tile baths, New carpeting thru out, New gas heating system, New water heater, New electrical panel, CENTRAL AIR, HUGE master bedrm with 2 double closets, laundry hookup in basement, tenant can supply own washer/dryer, lots of additional storage,large flat private backyard, .08 mile to elementary school, 1.2 miles to HS. Landlord provides lawn maintenance and snow plowing. NO Pets or Smokers. 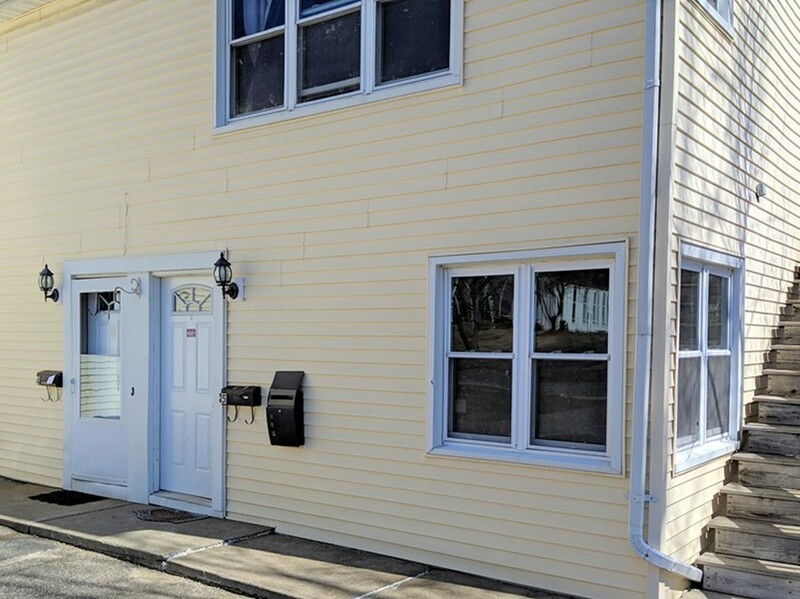 This is a great opportunity to rent a quiet, all updated unit with a yard, storage & privacy. Close to commuter rail-Stops in Norfolk & Walpole. 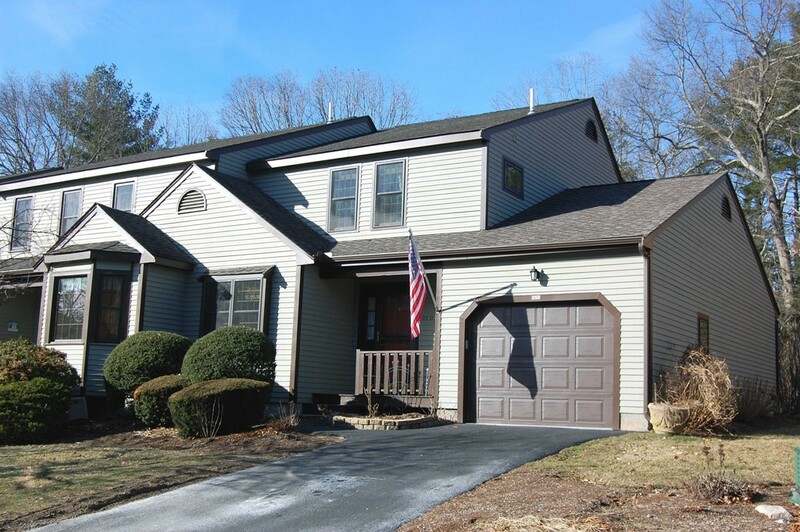 2 bed 2.5 bath town house in sought after Pine Lake. 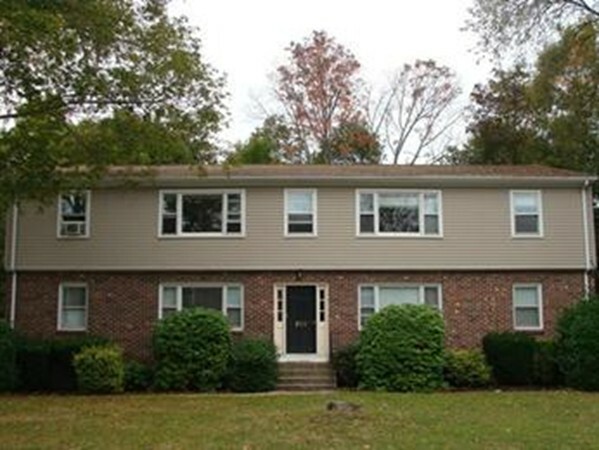 Great commuter location right by commuter train station with easy access to major routes. Updated and spacious eat-in Kitchen that opens up to dining room, Granite counter tops, ceramic tile floor and lots of cabinet space, Large living room with gas fireplace and slider access to the deck. Master bedroom with cathedral ceilings, walk-in closet and access through slider to another deck. Master bath whirlpool tub and separate shower. 2nd bedroom has attached full bath, cathedral ceilings and access to deck through slider. Central Air, Gas Heat, finished basement, newer tile flooring in kitchen, freshly painted, 2 car tandem garage. Tenant pays, water/sewer, gas and electric. 1st month rent and security deposit required. Charm and character galore. The apartment is clean and bright with gleaming hardwood floors throughout. Old country charm remains in tact. No smoking. No pets. Tenant shares in cost of snow removal with the other tenants. Great place to call home. Large 2+ bedroom apartment in a great location! 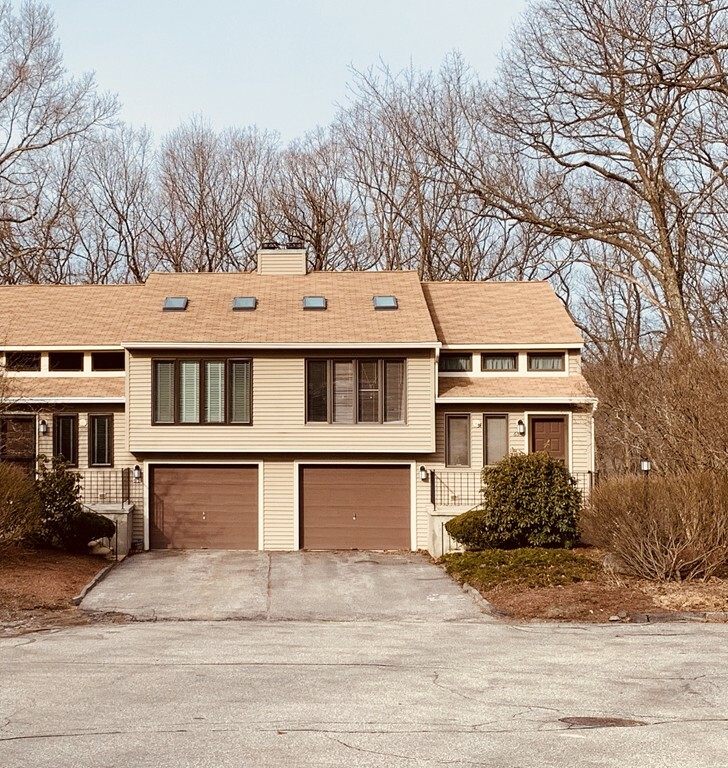 Close to both West Newton Center and Auburndale Village and the express bus or commuter rail into Boston. Apartment as a huge eat-in kitchen with pantry and two good sized bedrooms. Bonus bedroom or office in the front. Two parking spaces come with the unit. Hardwood floors throughout. Whole unit is freshly painted, and new windows just installed. Cat OK. Sorry, no dogs and no smoking. 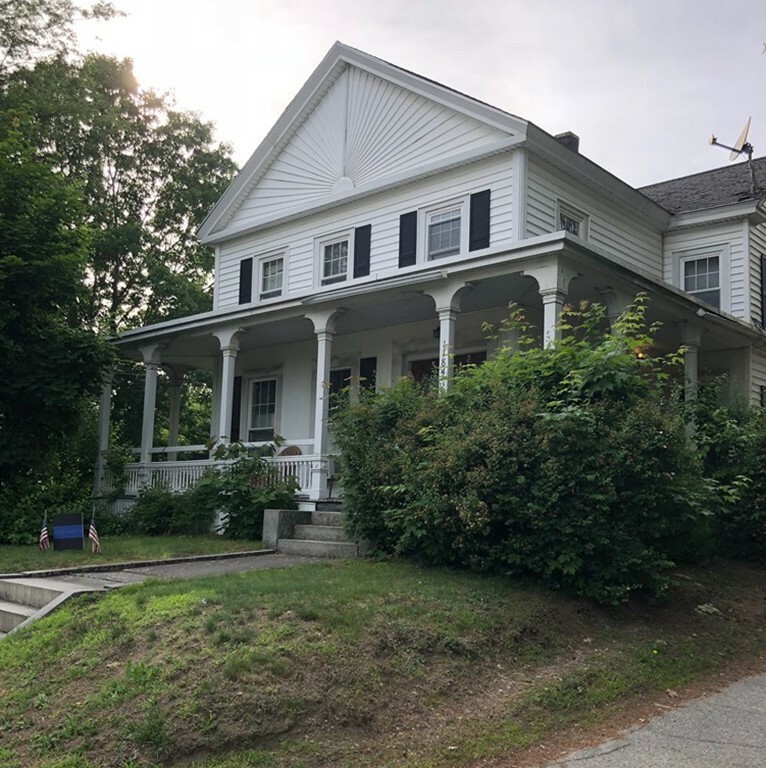 This charming and sweet, lovingly maintained, sun filled single family cape style home is available for rent. 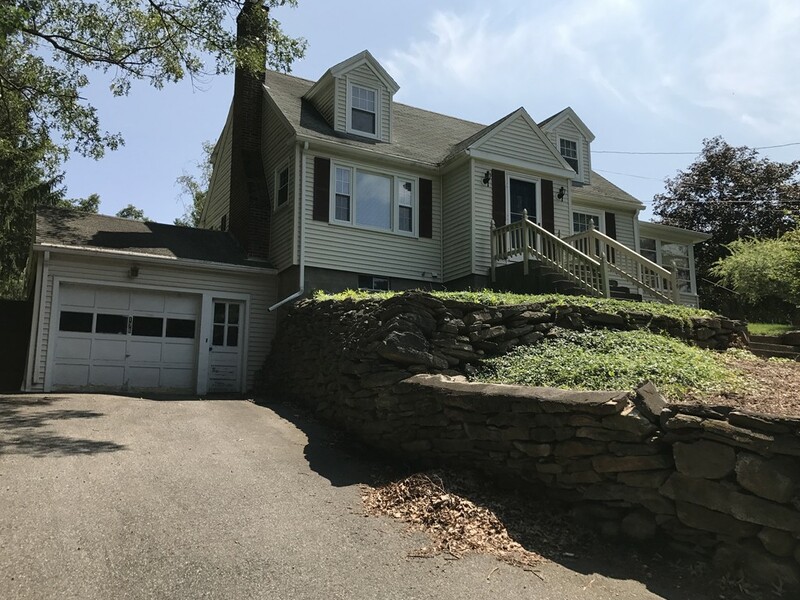 Hardwood floors, replacement windows, 2 full baths, 4 bedrooms, terrific 3 season room (my favorite), full basement with laundry hook ups and 1 car garage. Great size yard. Easy access to routes 9, 495. Just over a mile to commuter rail station. References, good credit a must. 1st, last, security required. Sorry NO pets or smoking. Available Feb 1. Tenant had a change of plans so this rental is available again. 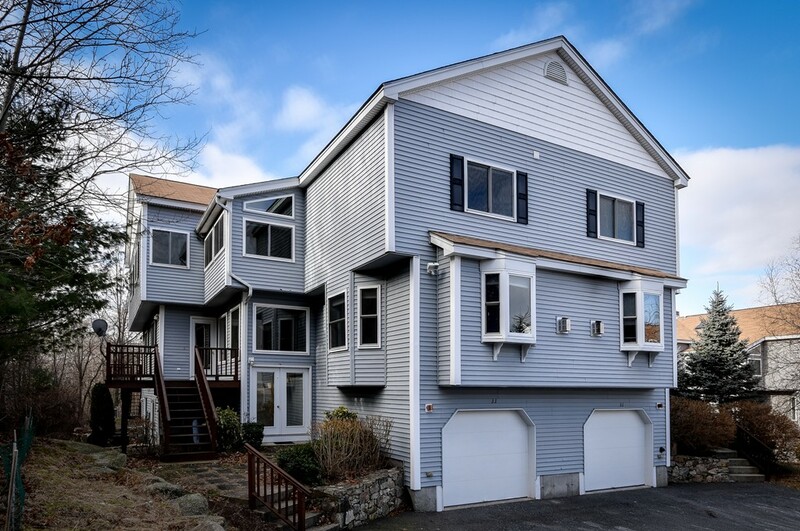 Great water view rental overlooking Hopedale Pond. 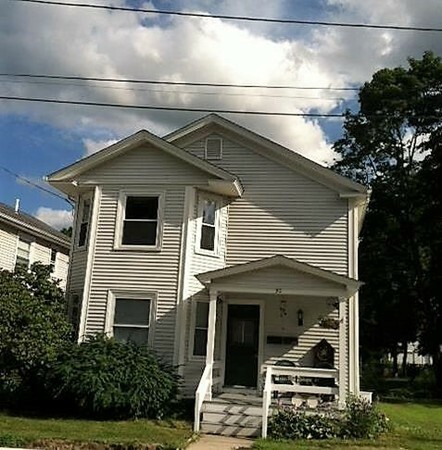 Updated 2 bedroom , 1 bath half duplex. Young high-efficiency gas heating system. Open kitchen with a very large island for eating or working. Private patio on the side of the home. Grass area in the back yard and you are literally right around the corner from a great park with playground, tennis courts and basketball court. The sound of the summer band concerts reaches the patio. This is a must see rental!!! Credit checks are required! No cats! Dogs MAY be considered on a case by case basis.